While the cross shown has been sold, we can make similar ones. 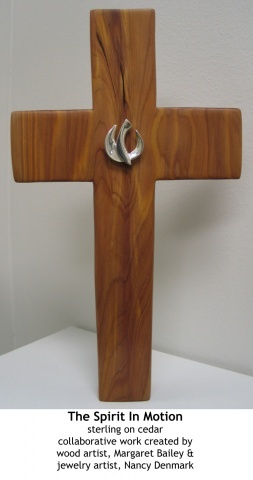 These crosses are made in collaboration with wood artist, Margaret Bailey. Each wood cross will be different... but Margaret captures the motion of the Spirit in the wood she selects for these that I mount my sterling doves on.